CRAZY DISCOUNT! 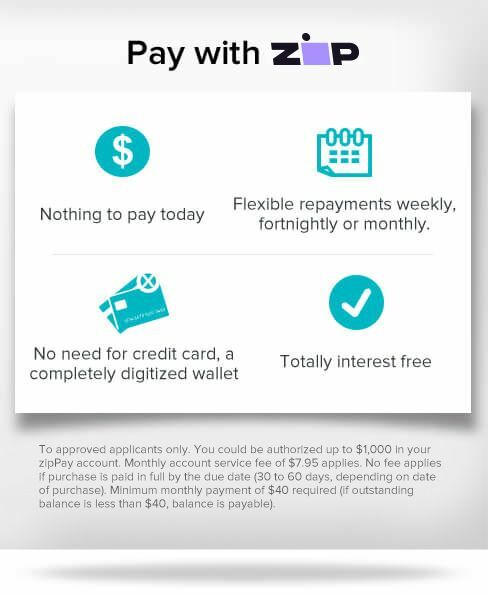 Was: $199.95 Now: $59.98! 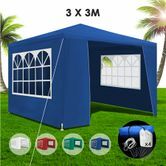 This 3x3m Blue Walled Waterproof Outdoor Gazebo is perfect for all your upcoming outdoor activities, as a sunshade station as well as a shelter for unexpected rains. With an extra thick and quick-to-erect powder coated steel frame equipped with strong legs and struts structure, this gazebo is very simple to set-up and extremely durable. If you’re planning an outdoor party or gathering, you’ll want to make sure you have all of your basis covered. With a perfect outdoor party tent like this, you and your closest friends will be living it up in the outdoors, no matter rain or shine. 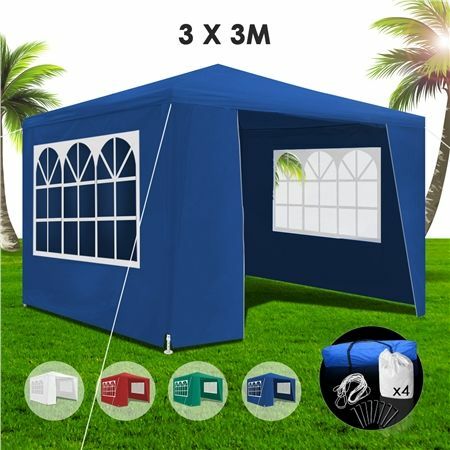 This marquee tent is ideal for markets, sporting events, camping, garage and yard sales, school events, trade shows and many more, so order your 3x3m Blue Walled Waterproof Outdoor Gazebo today! Ive had this gazeebo in my backyard for the past yr and through the harshestof aussie climates it withstood all the weather. Excellent i have bought another as this one has started to deteriorate. Thank you Great Product AAA CrazySales Highly Recomended.